Hadley’s Mike Parham, whose solo moniker is Mibble, recently released a new album, “Welcome the Earth Dog.” Parham’s superb home recordings sound like miniature musical collages, complete with sound effects, samples, and a lackadaisical posture towards the constructs of time, money, and fame. Evoking Neil Young and the sonic idea of clouds, Earth Dog builds nicely on Parham’s previous releases — 2016’s Wide Awake Western Mass and 2008’s Horseshoe Crabs, which are both handmade gems, unlikely to reach beyond the people who love them. A mutual friend of both myself and Parham mentioned he had recently gotten a new computer and no longer had Horseshoe Crabs, and really needed it. Given that it isn’t online, I sent it to him. 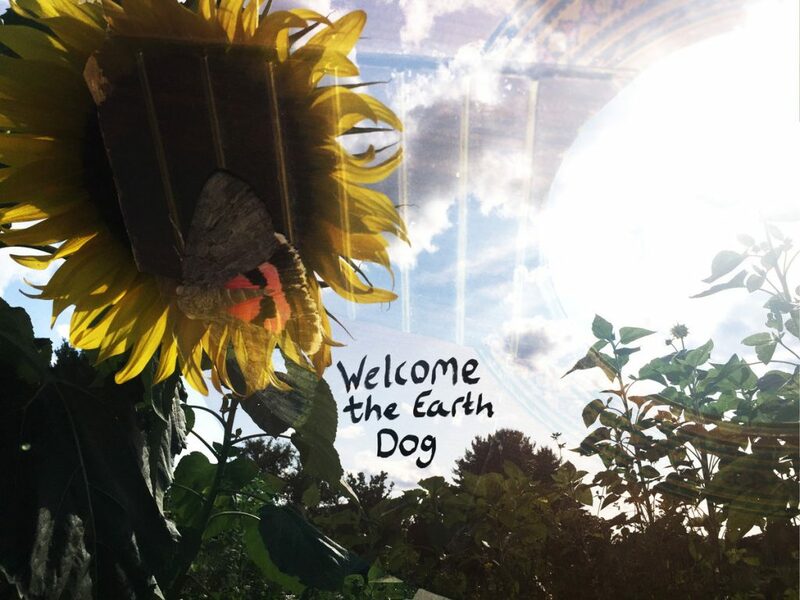 Will: Who is the earth dog, and why is the album named for the earth dog? Mike: The earth dog is the 2018 year of the zodiac. It was an earth year; I don’t know, it’s kinda nice — ‘cause after two fire years back to back, 2017 and 2016. We had the opposite of the eclipse for 2017. The eclipse is kinda a theme in the album. Will: On Bandcamp you write about how the music scenes congregate around big rivers, specifically how Western Mass has formed around the Connecticut. Can you talk about that? Mike: Yeah, the original idea was just noticing awesome music scenes were in cities that had big rivers. Of course there’s a lot of reasons why cities are built, but rivers that are big is a good reason. Will: Not industry? Music scenes? I think about all of the other cities, like New Orleans, Tennessee, New York’s got the East River; it’s a thing that is featured and is something to relate to other music scenes. I definitely think I was on some hippie thinking writing that but also acknowledge as much. Earth dog, too. I’m trying to write about energy and things that people might feel. Things that people have around them that are always affecting them, but can choose to turn off in a way. Will: Your music has a strong sense of both the natural world and also a sense of place. On this last record you have songs called “Lake,” “Downstream,” “In the Hills.” Can you talk about how those influence and shape your music? Mike: I didn’t actually think about that, but I feel like features come up in song lyrics; not always in lyrics, but definitely the theme of the song. “Lakes” is about jumping in, renewal. Just feeling refreshed by the holy spirit, whatever you believe in. Definitely water’s got that power. It flows. Things that are on top of the earth, the things that we interact with because we are on top of the earth. We are encountering all of these crazy features — rivers and lakes and hills; that’s a place to escape because people can’t get there as easily. Will: On top of the hill? Mike: Yeah, that song is like escape. “In the Hills” is all about running away, like having to leave your home; being displaced. That’s just a huge theme in humanity I think. Will Meyer writes the Advocate’s bimonthly Basemental column. You can contact him at willinabucket@gmail.com.